For today’s new driver, the recently published book We Had One of Those Too! 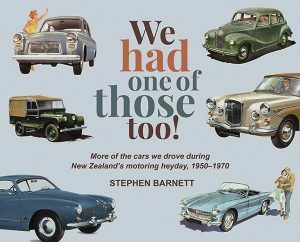 by Stephen Barnett reveals the very different New Zealand driving environment of 50 and 60 years ago when the cars the book features held sway. Fuelled by a wonderful diversity of car design and engineering it was a period of greater fascination and engagement with cars than the present. 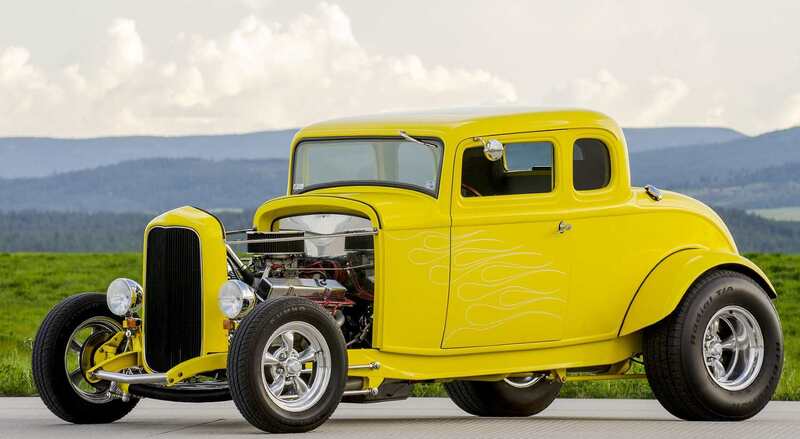 Cars had more character – though admittedly this had a bit to do with their lesser reliability and individual idiosyncrasies – while motorists were faced with much lower traffic volumes and lesser regulation. You could get your full driving licence at 15 and of necessity, you learned to do your own maintenance and minor repairs. Rust was a particular problem in the days before really effective rust protection and a lot of home car maintenance centred around cutting out rust holes and filling these with bog – some cars you saw seemed to likely to have been more fibreglass than steel! Then, too, the majority of cars had nothing like the acceleration available today, automatic transmission was rare (and not all of the manual gearboxes were fully synchromesh) while the safety features we take for granted today were non-existent: front seatbelts would not be mandatory until the mid-1970s and as for airbags, well, these weren’t even a gleam in the eye. Of the cars themselves, British models ruled the day ranging from stalwarts such as the A40 through to the magic of the Jaguar E-type. While Japanese models began to appear on our roads in the mid-1960s it wouldn’t be until the early 1970s that they were commonplace. The lovely Austin A40 Somerset of 1952 was positively Rubenesque in its rounded styling, with flowing lines swirling aft from the top of the front wings aft to the rear wheels. Its handling, however, left something to be desired; its suspension that demonstrated soft leaning through corners, became markedly worse as the car aged: driving the Somerset was described by one commentator as similar to ‘driving a spongey pud’. British models at the upper end of the range were epitomised by the Wolseley 6/110 of 1961: ‘The Wolseley 6/110, in terms of performance and luxury represents value-for-money unmatched in the three-litre, six-cylinder class. For the business executive or the professional man there is no finer combination, than exists in this superb Wolseley, of intrinsic worth and prestige value’. Its interior was opulent and included leather upholstery and walnut veneer facia and door cappings. The reclining front seats had fold-down picnic table trays set into the backs of them for the benefit of the rear passengers. While most car model names of the 1950s and 1960s have disappeared from view some, such as the Ford Mustang, continue to live on more than half a century after their launch in 1964. The Mustang met perfectly the spirit of that decade, especially in its convertible form – more than a million Mustangs were sold in the first 18 months of its manufacture – and it continues to live on today in new iterations. ‹ Can you put different sized tyres on your car? Can you put different sized tyres on your car?